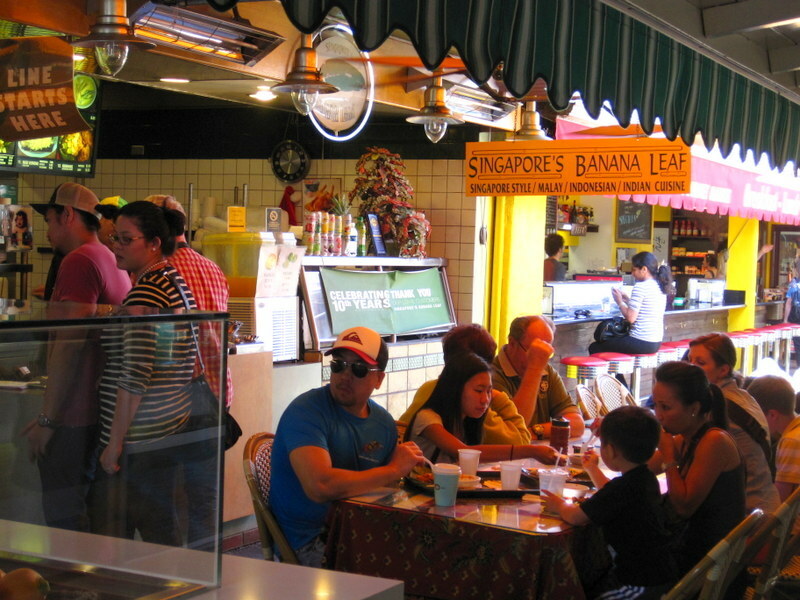 Last weekend when Eric and I hit up the Miracle Mile, we were excited to go to the historic farmer’s market. Spring is upon us, so who knew what treasures we might find? 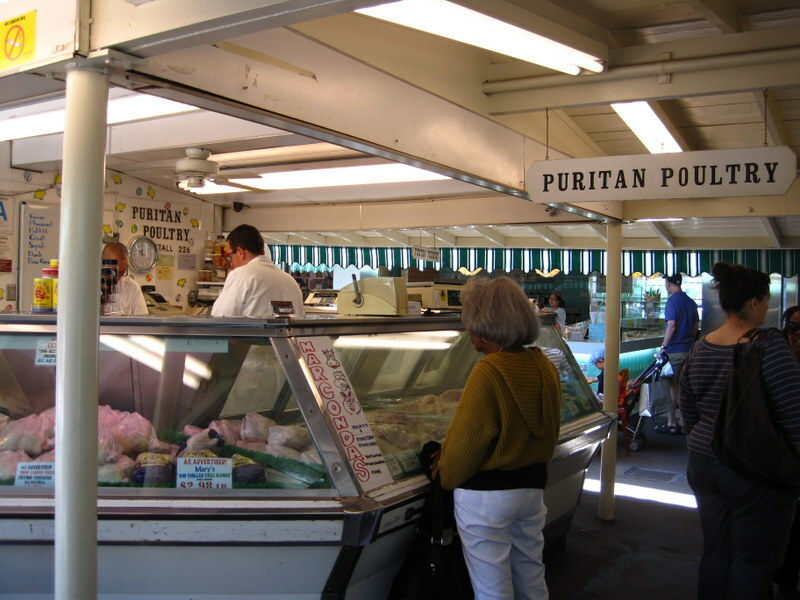 The joke was on us, since it isn’t exactly a farmer’s market anymore, but it was still pretty delightful, especially for the palpable sense of LA history history it gave us. 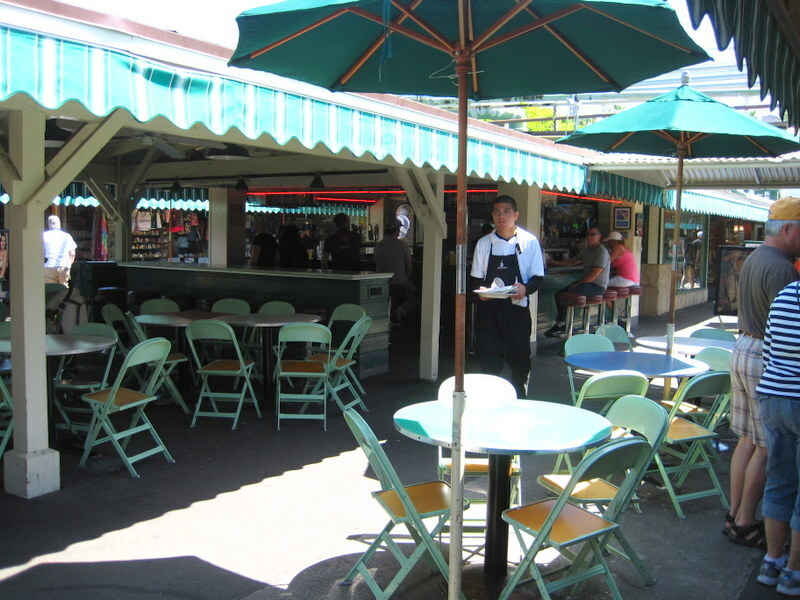 This modest little spot at Fairfax and Third was once a dairy farm, and then an oil drilling site, and then finally, during the Depression, it was transformed into a farmer’s market. 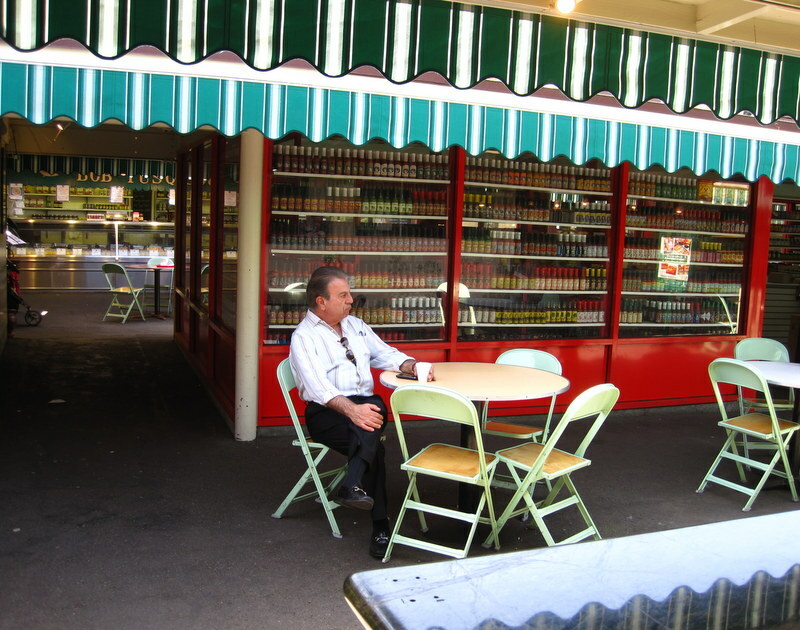 Now it’s a bustling collections of shops and cafes, all under sweet striped awnings. I loved watching everyone enjoy their morning coffee, and wished I weren’t still full from breakfast at home. 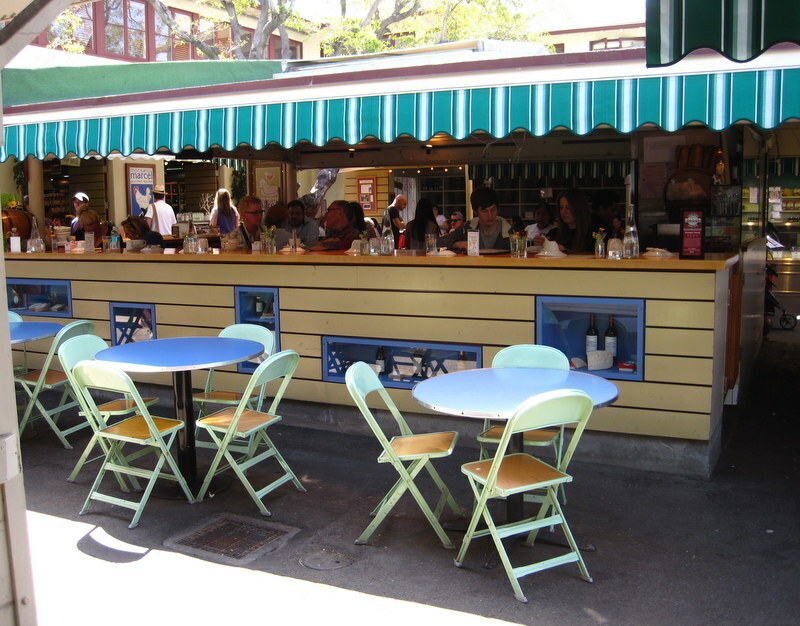 You never know when you might need to sample a crepe. A lot of the restaurants are international, and that was exciting too. A Singapore style breakfast? Sign me up! 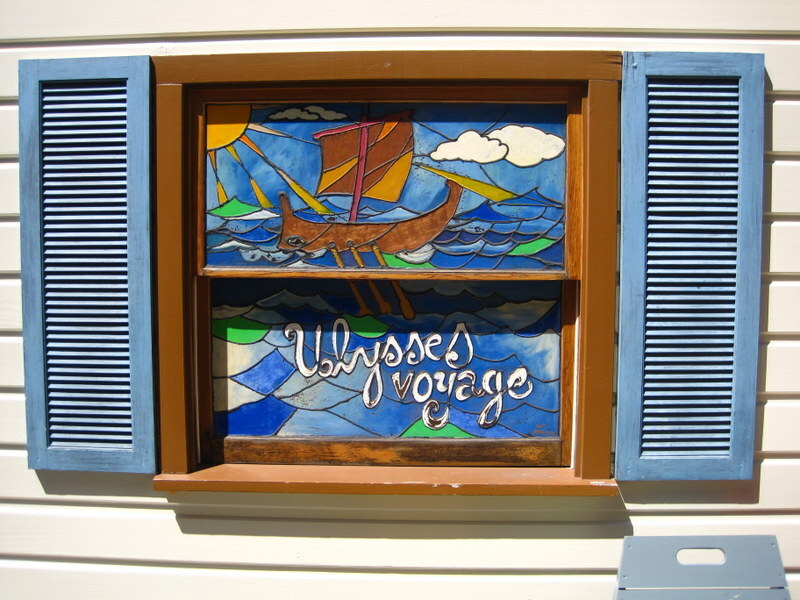 And I loved the stained glass window on this sweet Greek place. 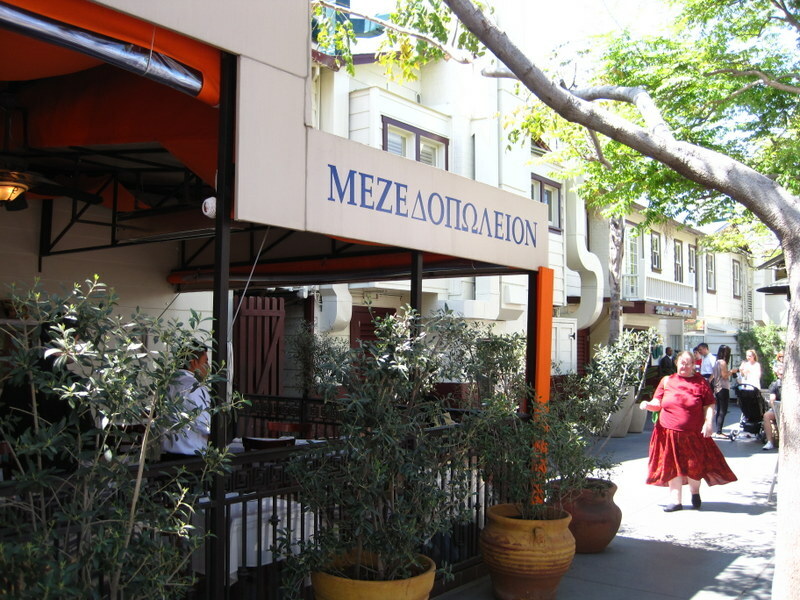 And this shot of their sign in Greek is for a certain BFF of mine, who I’d love to take there next time she’s in town! 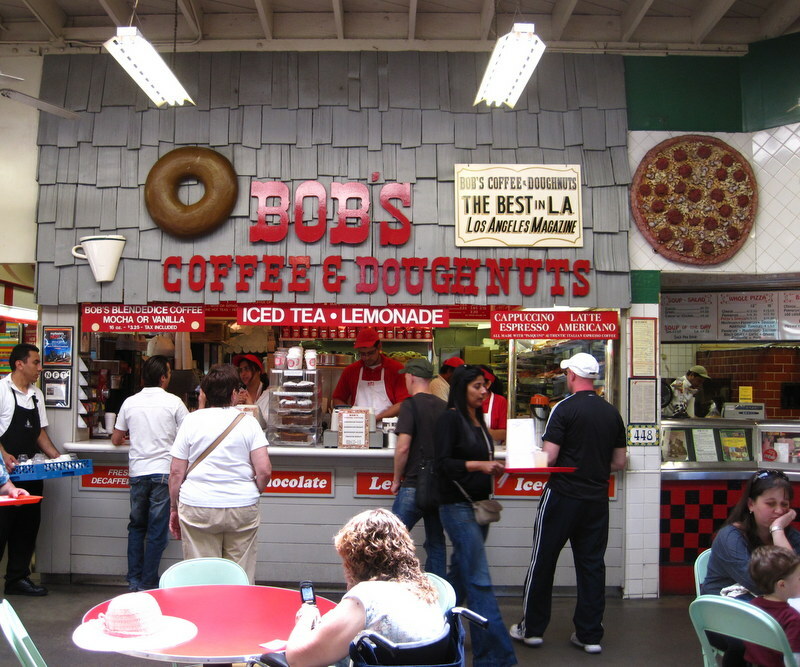 The other restaurants represent a particularly LA style of Americana. Charming, no? Those doughnuts smelled really good. And so did the waffle cones! 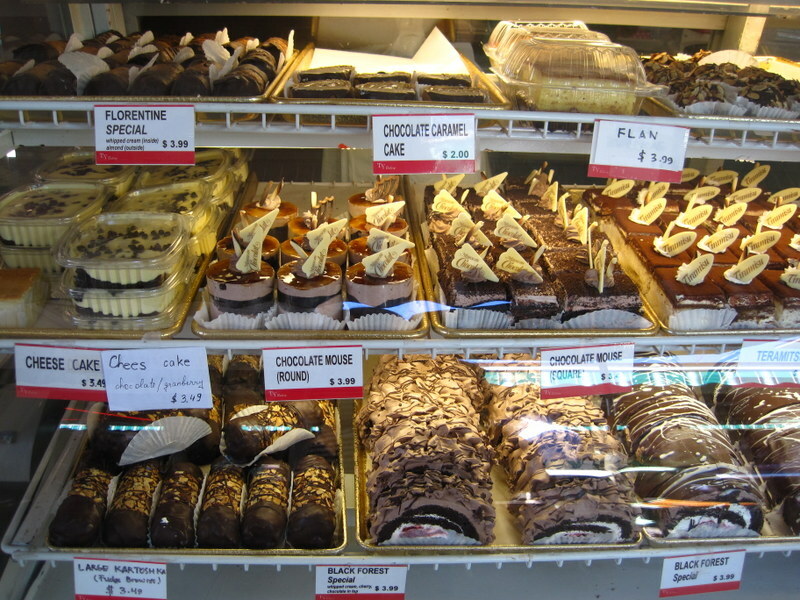 There are also some food shops, offering all kinds of delights. 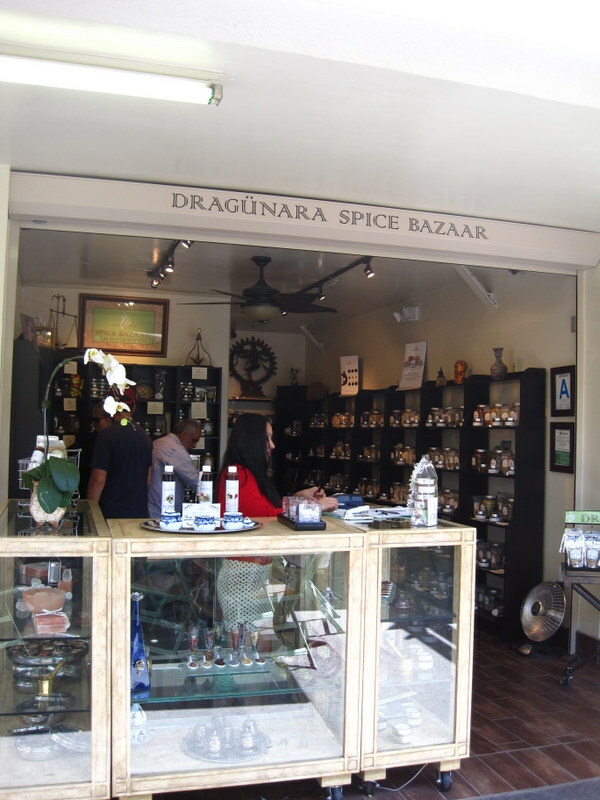 And of course, my eye was turned by the spice bazaar, especially since they had several Turkish coffee sets out on display. That, my friends, is always a good sign. And I was charmed as well by Puritan Poultry. This is one of my favorite shots of the day. A cup of coffee, a wall of sauces and salsas. I love the colors in this display and the Saturday morning feel of the scene. 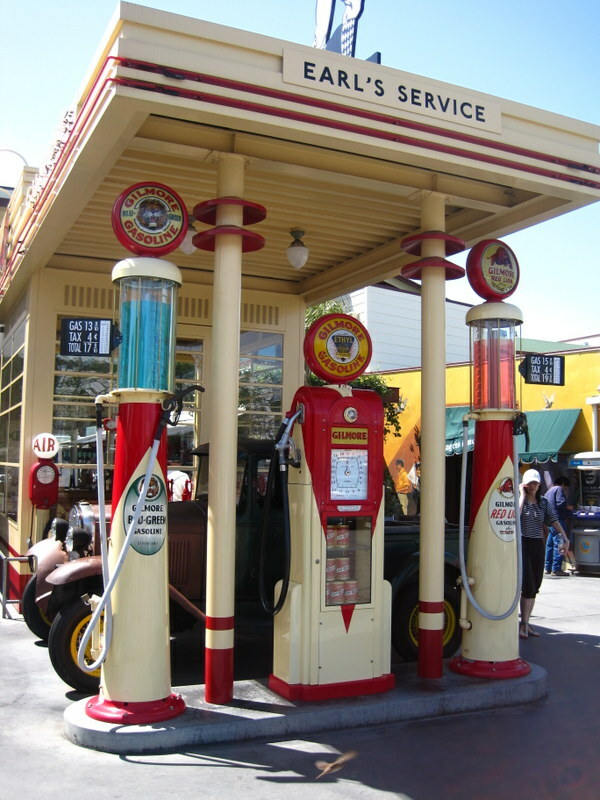 And finally, I loved that the old gas station from the turn of the century has been so beautifully restored. It was almost as good as asparagus and strawberries. Not so tasty, but at least as pretty.